The Apollo-Soyuz Test Project mission is remembered for its political, technological and historical significance. It was the first time that spacecraft built by different nations had docked and it signalled an era of cooperation in space which would lead to the efforts to build a permanently occupied space station. The 35th anniversary of their historic handshake is commemorated with the release of the OMEGA Speedmaster Professional Apollo-Soyuz “35th Anniversary” chronograph in a limited edition of 1975 watches. 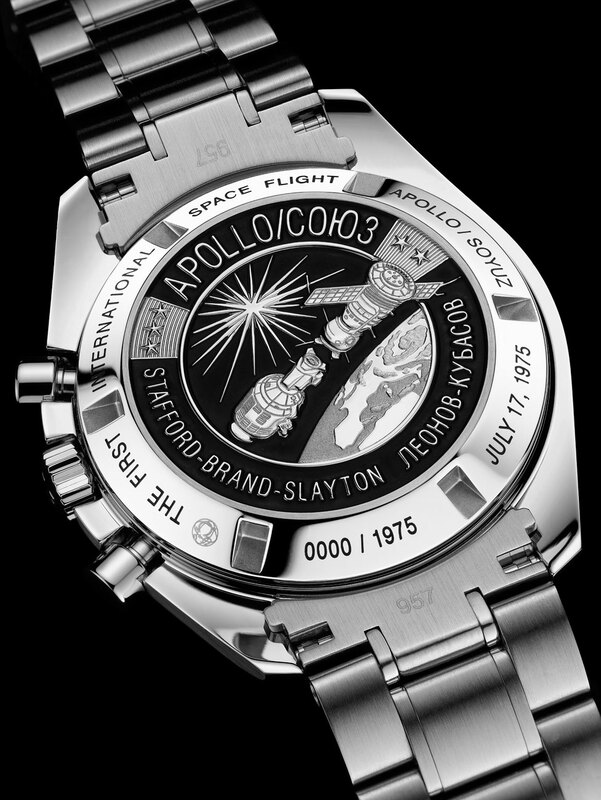 The dial has been created from a meteorite which survived its entry into our planet’s atmosphere and the high-speed impact with the terrestrial surface. The meteorite’s unusual structure is the result its very high temperature when it enters the Earth’s atmosphere, followed by a period of cooling. 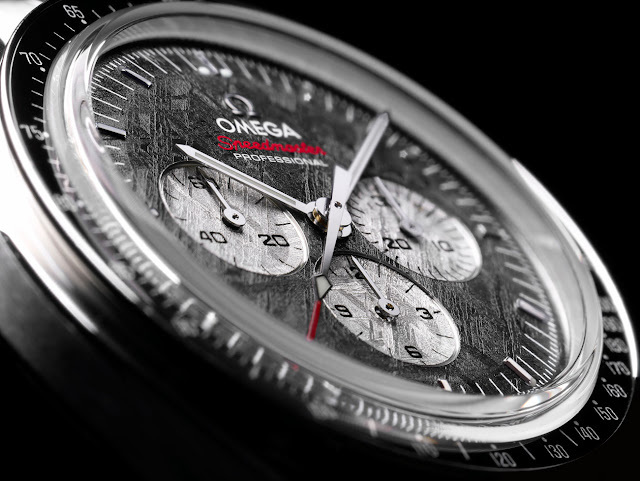 The dial is a single piece cut from the meteorite; accordingly, because no two pieces of the meteorite are exactly alike, each watch in this limited edition is absolutely unique. The black colour of the meteorite dial is the result of a surface oxidation process. 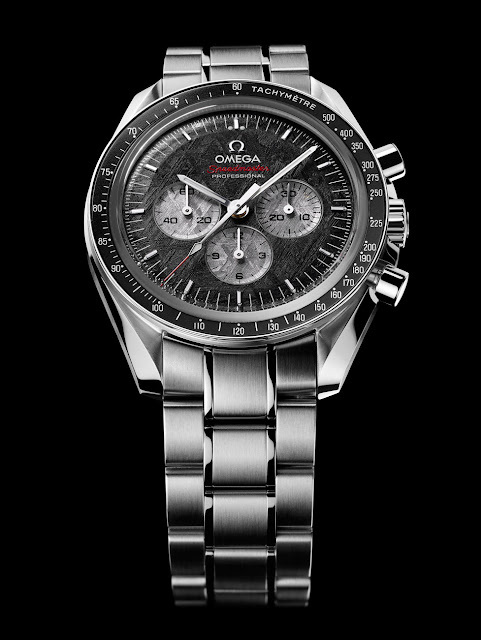 The silvery seconds hand and chronograph counters appear in the meteorite’s natural colour.